In the last decade, social media has burst onto the scene as one of the most exciting business tools in years. Every business is trying it, and new platforms keep arriving for it. While social media has become every marketer's favorite new toy, not everyone knows how to play with it correctly. Part of the struggle with social media is being able to quantify its success. Angie Schottmuler, founder of Interactive Artisan, recently explored how to create a process in which social media capabilities can be measured -- and deliver true ROI. 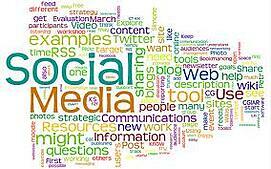 Most companies begin by outlining their social media tactics. Only about one-fifth of marketers plan social media goals before tactics. To better understand its effectiveness, social media goals should start at the base level, with your business' mission. Begin by narrowing the reach of your social media plans. This includes selecting the department, function and time period of your strategy. Social media can be used for a variety of department objectives, including increasing sales, recruiting and other tactics. For example, KPIs should include a measure for successful hiring. A hire is made in most situations for a long-term relationship. Two sample KPIs would be employees staying for 4 months and maintaining 75% production through the first 4 months. When choosing tactics for attaining each goal, start by choosing social media channels. If a company wants recent college graduates, Facebook and Twitter would be preferred over other platforms such as LinkedIn. Lastly, explore a way to measure each tactic. Think of a list of about 10 metrics that can be used to measure tactic success, and then cut that number in half to the most valuable ones. For example, you can measure the number of responses to a Facebook status involving recruiting, or number of sales related resumes uploaded in LinkedIn. When it comes to social media, lead generation and other marketing tactics, TSL Marketing is helping organizations map out a strategy for 2013 and beyond. Contact us today to learn more!